The History Of Golf . . . There is no firm evidence that the history of golf or the origins of golf were in the land of Scotland. Evidence actually exists that golf or games very similar were played in Rome, Italy. The history of golf suggests that the Romans played a game they called "Paganica", which was played with a leather ball stuffed with feathers and a "bent" stick with which to strike the ball. In fourteenth-century England, a game known as "Cambuca" which was similar to "Paganica" was played widely throughout the land. The Chinese claim that the origin of golf was in the Orient three centuries before Christ! Also the Russians claim that the history of golf originated in Denmark during the fifteenth century. The Dutch were known to have played a game called "Kolven" which was similar to golf, only that game was played on ice! (I don't think they were confused with hockey) Was this the true origin of golf? The earliest known reference to the game in the history of golf is made when King James II of Scotland banned the playing of the game because it kept his subjects from archery practice! 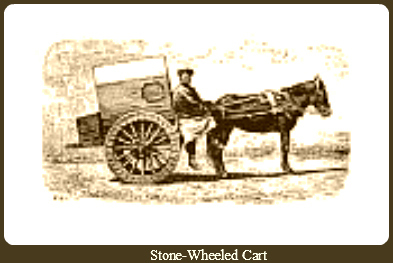 Also, it seems that a group of sheep herders (shepherds) who became very bored with tending flocks of sheep near St. Andrews became quite proficient at hitting round stones into rabbit holes with their wooden "crooks" or staffs. What the stone/rabbit-hole size ratio was in relation to our modern-day golf ball/cup size ratio? If there was official documentation of the first "Rabbit-Hole-In-One"! If when the stones were knocked into the "Rabbit-Hole", did the shepherds lose their stones? 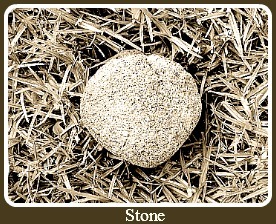 If when a shepherd took a drop and the heavy stone buried itself in the mud, could he deem the "stone" unplayable? If they determined distance by a "stones-throw"? . . . Maybe two stone-throws was a par 3, four stone-throws a par 4, and 6 stone-throws a par 5! If they used "sheep-skin" grips on the "Crook"? If when they transitioned from the top of the backswing, did they confuse "Pronation / Supination" and get the "Crook" caught on their neck, causing a severe "Crook-in-the-Neck"? What degree of loft was on the "Crook-Head"? Since there was no "hosel" maybe they didn't have a problem with shanks? If the shepherds had a professional "Crook" fitting? If the typical shepherds "shaft" had a regular or stiff "flex"? If their sandals had collected burrs on the bottom and performed like spikes? 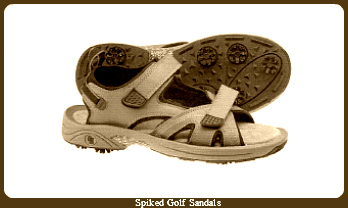 These obviously were the predecessors of today's "Spiked" sandals! And by the way, during this same time period in golf history, it was documented that the first-recorded sale of a golf ball had taken place. I guess we better get back to the timeline! The ban on the game of golf instituted by King James II of Scotland is reaffirmed by King James III. King James IV of Scotland continues with the ban on golf instituted earlier. Boy, the King could have been out with the Knights playing a round (knights-of-the-round-table), and the Queen probably would have thought he was really out having fun! King James IV of Scotland apparently decided to take up the game of golf himself. Therefore, he lifted the ban on the game at that time. He had a bow-maker who lived in Perth, Scotland craft a set of golf clubs for his personal playing of the game. (Probably had "Sheep-Skin" grips and a lofted "Crook"! Sir Robert Maule was believed to be the first commoner to officially play golf on the Barry Links near Carnoustie. (Even if he became a "scratch" golfer, he probably wouldn't have a locker at the local "Country Club"! During this period in time, St. Andrews, Scotland reportedly experienced the playing of the game of golf. A year later the Archbishop of St. Andrews issued a decree allowing the local populace to play golf on the "Links" at St. Andrews. Mary Queen of Scots, a French woman, and the daughter of King James IV, is soundly criticized for playing golf just shortly after her husband was murdered! In 1603 the King appointed William Mayne as "royal club-maker". The subjects of King James of Scotland were granted the right to play golf on Sundays. The first appearance of the "Featherie" golf ball was seen during this year. The balls were hand-constructed by stuffing fine, wet feathers into a leather sphere, which was then sewn tightly shut. The feathers continued to expand as they became drier, which created a very hard "golf" ball. During a round of golf, England's King Charles I received notice of the Irish Rebellion. In Aberdeen, Scotland a license as an official golf ball maker was issued to John Dickson. During this year the first known reference to golf in America was when the game was banned from the streets of Albany, New York. This year was when the first International Golf Match on record played at Leith, Scotland. The Duke of York (James II) and George Patterson represented Scotland. The Scotland duo took the match from the representatives of England. Andrew Dickson carried the golf clubs for the Duke of York, making him the first-known caddie. The first reference within the history of golf on "how golf clubs were made", was in a book by Thomas Kincaid, titled Thoughts on Glove. St. Andrews was designated during this period as the "metropolis of golfing." We will continue this Timeline of the history of golf in part 2 of this series. We will outline events and facts of the history of golf for the years 1735 through 1899.